This week for Hear This, contributors were asked a question: What was the best concert you saw in 2012? While I saw plenty of good one-off shows and late-night dirty rock club romps, I’m a sucker for a nice package tour out in the sun. 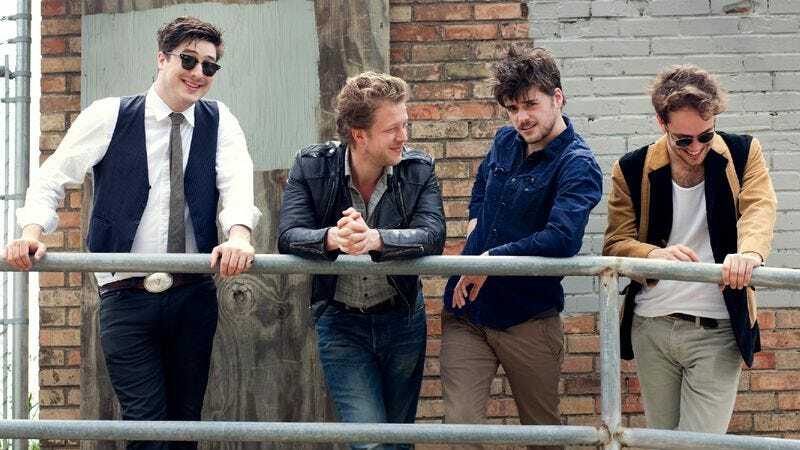 Mumford And Sons threw one of those this summer—the artfully branded Gentlemen Of The Road stopover tour—popping up stages in four different, fairly small U.S. cities. My husband works for the company that books the band, so we headed west to Dixon, Illinois for one of the shows. Set along the river and among some campgrounds, the festival was incredibly laid back, with local vendors and clubs like the VFW manning all the food stands. A whole slate of acts played, including L.A. sister act Haim, afro-poppers The Very Best, Dawes, iron-curtain punks Gogol Bordello, and Mumford; but the highlight of the night came when all the acts came out for the final song, a soaring, epic take on Joe Cocker’s version of “With A Little Help From My Friends.” It’s not my favorite song, by any means, but in the dark, in rural Illinois, that song just made sense—and no, I wasn’t drunk. The enthusiasm of everyone performing was electric, and it just felt like a lovely way to end a charming pop-up festival and a nice summer night.